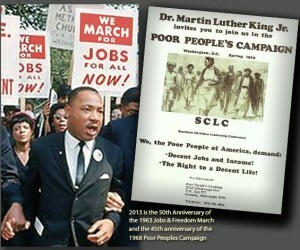 May 11, 2013 Poor Peoples Campaign March from Baltimore to Washington! will leave promptly at 11 P.M.
will leave at 12:15 A.M.
AFTER you have signed up for your tickets using the form below, you can PAY ONLINE with a credit card. Once you fill in the bus signup form below and submit it, you will be brought to a page where you can make your online payment. IF you have ALREADY SIGNED UP FOR YOUR SEAT(S), you can pay online now by following this link. 1) A separate form must be entered for each passenger. 3) Phone and/or email is suggested to stay informed with updates about the April 11 mobilization and future actions. 4) Click "Submit" button at bottom of form to finish reservation.